A growing body of research demonstrates the important role the immune system plays in the pathogenesis of central nervous system disorders, including PANS and PANDAS. In this section, we offer links to online educational courses that can assist clinicians in staying up to date on the latest developments in the field of neuroimmunology. 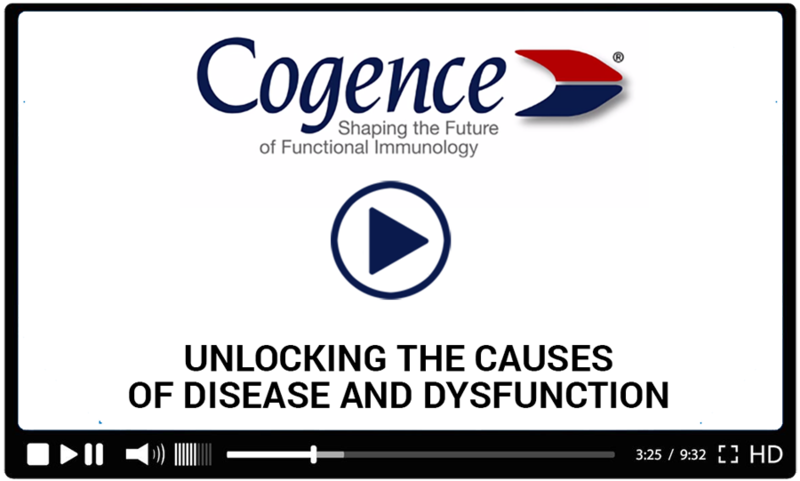 Cogence Functional Immunology, an extensive online course, offers presentations demonstrating the ways in which immune system dysregulation can contribute to or be the root cause of some complex, chronic illnesses. 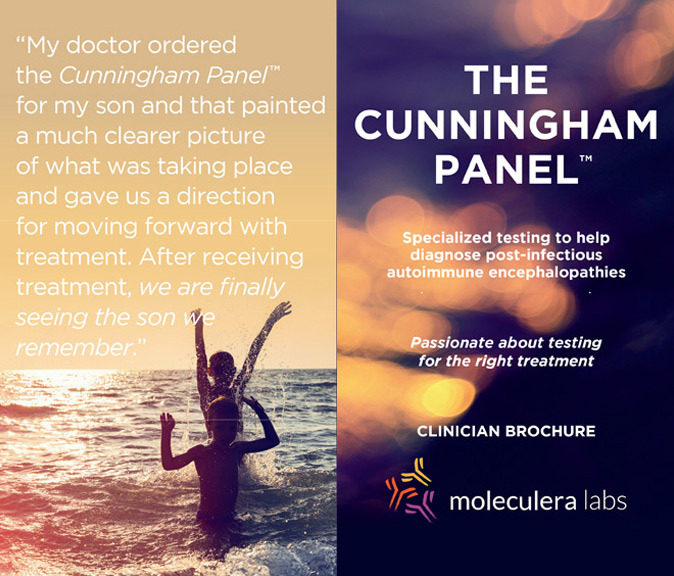 The curriculum, which consists of more than 200 instructional videos, grouped into 22 modules, covers a wide range of topics and provides medical professionals with research-based clinical strategies to treat patients who have not responded to previous treatment. Following are several examples illustrating the impact abnormal immune activity can have on triggering autoimmune disorders, such as PANS and PANDAS. It’s clear in the medical research that many autoimmune processes, including PANDAS and PANS, are promoted by the presence of pathogens. Thus, patients who have PANDAS or PANS have two immunological problems, the autoimmune process and the pathogen that instigated the autoimmune response via molecular mimicry or other dysregulatory inter-cellular signaling processes that have yielded immune interest in self-tissue targets. So, promoting immune tolerance is not an adequate strategy. Promoting immune tolerance by increasing the activity of regulatory T cells can certainly help protect the patient’s target tissues from autoimmune mediated tissue destruction. But promoting tolerance also risks diminishing the efficiency of immune surveillance against the bacterial and/or viral pathogens that can be driving the autoimmune process. So, the clinical strategy needs to include promoting the patient’s immune surveillance capacity against the pathogen, while also promoting immune tolerance to self-tissue. Microglial cells are specialized brain-resident macrophages that perform normal surveillance on neurons, affecting repairs, diminishing neuro-inflammation, and promoting apoptosis of invading T cells. Changes in microglial morphology, changes in neuro-microglial signaling dynamics, or altered neuronal signaling behavior can all lead to irreversible loss of neurons. Understanding neuron-microglial interactions, and taking clinical steps to protect neurons from excessive microglial phagocytosis, are essential clinical skills in dealing with patients with PANDAS, PANS, or other forms of neuroinflammation. Changes in cytokine physiology that occur with inflammation can trigger changes in T cell polarization patterns that drive autoimmune tissue destruction. This can occur in body and brain. When you understand these processes and how to address them clinically, you can protect your patients’ brains more efficiently. These and a host of other immunological dysfunctions involve complex processes that manifest differently in each patient. 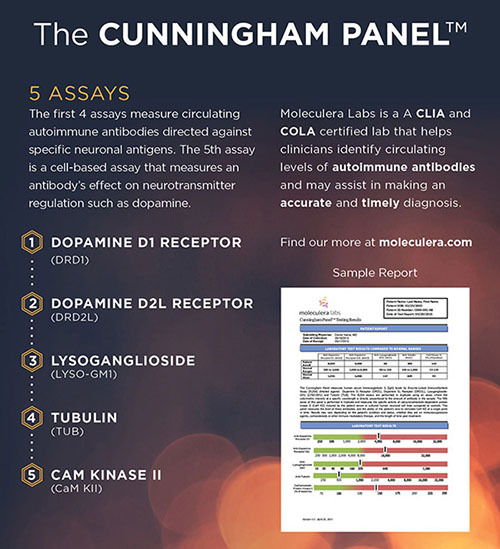 To create the best clinical outcomes, you need to be able to identify each patient’s unique pattern of immunological expression and apply properly matched clinical tools to well-researched underlying immunological targets. Cogence Immunology teaches you key clinical applications of functional immunology that you can use with your patients every day, using research-based natural medicine tools that are compatible with conventional medical approaches to care. It’s not instead of what you’re already doing, it’s in addition to it. The repertoire of natural medicine approaches to food, nutrition, and related factors turns out to include excellent tools for influencing specific immunological targets, but it’s important to go beyond “I heard this is good for…” To be consistently effective with challenging cases, you need to go deeper. Giving you that understanding, and teaching you to apply the proper tools in each situation, to create remarkable clinical outcomes when you’re managing tough cases, is what Cogence Immunology is all about. Cogence Immunology is a rigorous online course based on a “flipped classroom” model. Instead of paying for travel and hotels to hear a canned presentation, then going home and wondering what it meant, you study the lecture videos online, when you want, studying at your own pace, and rewinding and reviewing if you want to hear something more than once. You can post questions on the Q&A forum and get answers anytime. And, whenever you want, you can attend the weekly live webinars, where Dr. Yanuck answers your questions and discusses the material. Lecture videos at home + Q&A forum & webinars as the online classroom = flipped classroom. The lectures are the homework, and the “class time” is for Q&A. It’s more efficient, less expensive, and you do it all from your own desk, at your own pace. Over 200 in-depth videos let you master an understanding of your patients’ problems with far greater insight. Learn how to manage complex cases with a functional immunology approach, and share with your patients the fulfillment of seeing them improve. To learn more about Cogence Immunology, go to www.cogenceimmunology.com. When you’re ready to start the course, you can use the coupon Moleculera1koff to get a thousand dollar discount, reducing the cost from $4,000 to $3,000. You’ll get an additional $500 off for paying for the course all at once, bringing the cost down to $2,500. If you want to pay in installments, use the coupon Moleculera1koffPP (for payment plan). That will give you the course for $3,000, paid in four installments. Disclaimer: Moleculera Labs does not in any way profit from enrollments in educational courses listed on our website.